I am soooo excited that the class I created on sound and color has been approved for the Continued Education Credits for acupuncturists in the state. It’s a real honor and I’m thrilled about it! 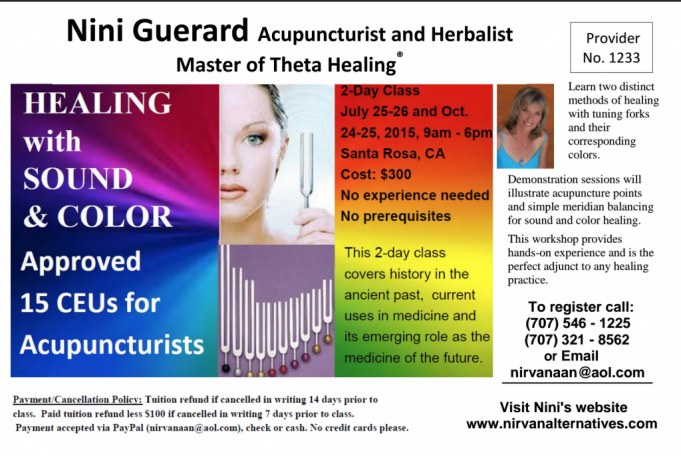 The class is open to anyone and everyone interested in learning how to heal themselves and others with sound and color. Hope to see you there!